My maternal grandmother Edna always made THE. BEST. BROWNIES. While I realize this is a common claim, I speak the truth. Few desserts of hers came out well, but man, could she make a brownie. It was the perfect union between chewy and cakey. Nothing like those liquid cement blocks that sit in your stomach for days, nor those dry squares that make you plead “got milk? !” They were, quite simply, sublime. Wherever she went to dinner, people always begged her to bring a batch, and no matter the quantity, all were polished off. Many waistlines can attest to this. She was always generous with the recipe, though in other hands, the brownies never came out as irresistibly. My mother is one of the few to have mastered the trick, and in figuring out why, I have reached the conclusion that good brownies require a lack of fuss. My grandmother was a no-fuss baker. Stress was something she simply never considered, which was probably why she lived so long despite the brownies. My mother has a much different, wider, and more complex repertoire of recipes, but she will dismiss anything she thinks too fussy. She will even rewrite in shorthand any recipe before making it to keep it clear and concise. And so, while they were night and day in personality, my grandmother and my mother both became brownie masters. 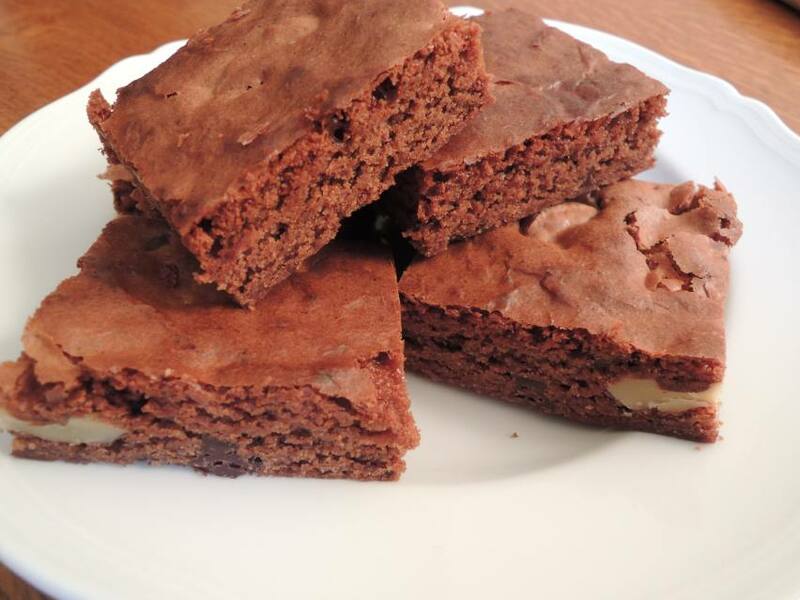 Of course, gluten-free brownies cause a bit of a challenge to the no-stress rule. You can use a reliable all-purpose gluten-free flour substitute, but they sometimes cause the result to be “off” taste-wise. It is also essential to avoid substitutes containing rising agents, or your brownies will turn into a sheet cake. Where I live, the scarcity of wholesome gluten-free mixes forces me to find my own solution, which I share with you below. 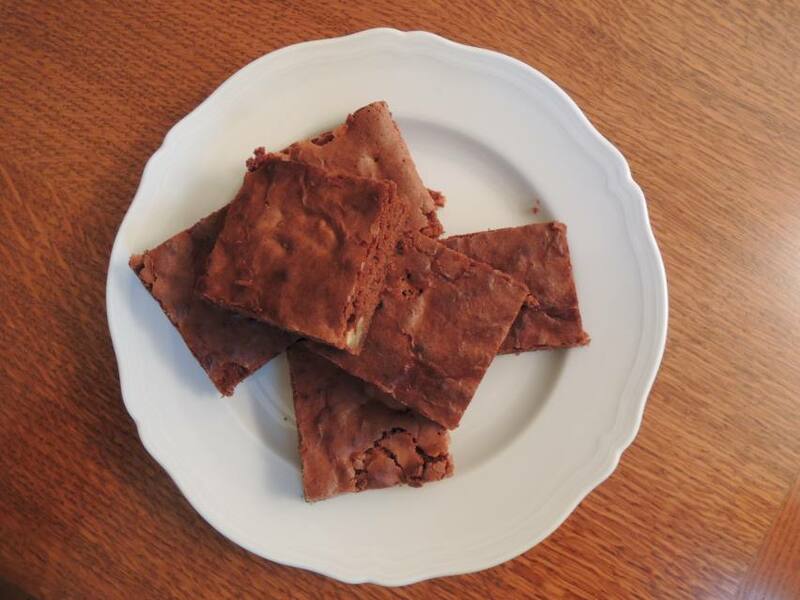 Otherwise, in keeping with the family secret to brownie success, this gluten-free brownie recipe is quite simple. * If you find yourself, like me, in a place where unsweetened chocolate is nearly impossible to find, then substitute the darkest high-quality chocolate you can find, and simply halve the quantity of sugar. Line a 9 x 13″ baking pan with parchment paper. In a double-boiler, or in a non-stick ceramic pan over low flame, melt together butter and unsweetened chocolate. Remove and cool slightly. Stir in vanilla. In a medium bowl, mix with a fork until uniform all flours, baking powder, and salt. In a large bowl, whisk eggs and sugar until frothy and thick. Add in melted chocolate mixture, and blend thoroughly. Add in flour mixture and blend thoroughly. 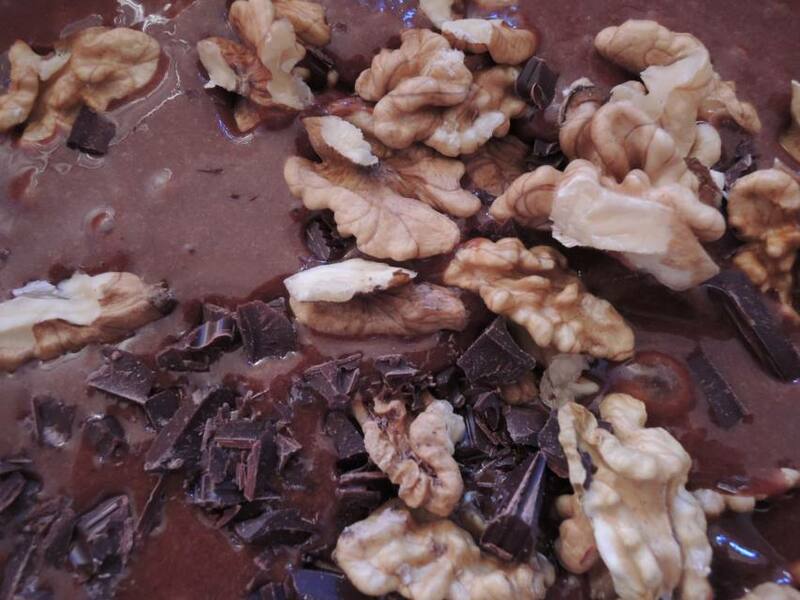 With a spatula, fold in walnuts and chopped chocolate. Pour evenly into prepared pan and bake for about 25-30 minutes, until a toothpick inserted in the middle comes out clean. Cool pan on a wire rack for 10 minutes. Place a flat surface (the back of a second pan) on top of the cooled pan and flip. Remove original pan and parchment paper. Flip back in the same manner onto a cutting board to cool completely. Once cooled, cut into squares and serve or store in an airtight container. For a fancier presentation, you can serve “a-la-mode” – or “Alamo!” as my grandmother used to say.